I hope you caught the blue Christmas decor series (ornaments, wreaths, mantels, and trees) over the past few weeks! It was so fun to participate with other talented bloggers, but it was especially fun to challenge myself to think outside the box for my Christmas decorating. I’ve never done a “blue” Christmas before, and I didn’t want it to look too modern, but my house is filled with blue, so I worked to simply integrate the Christmas decorations into my existing decor. 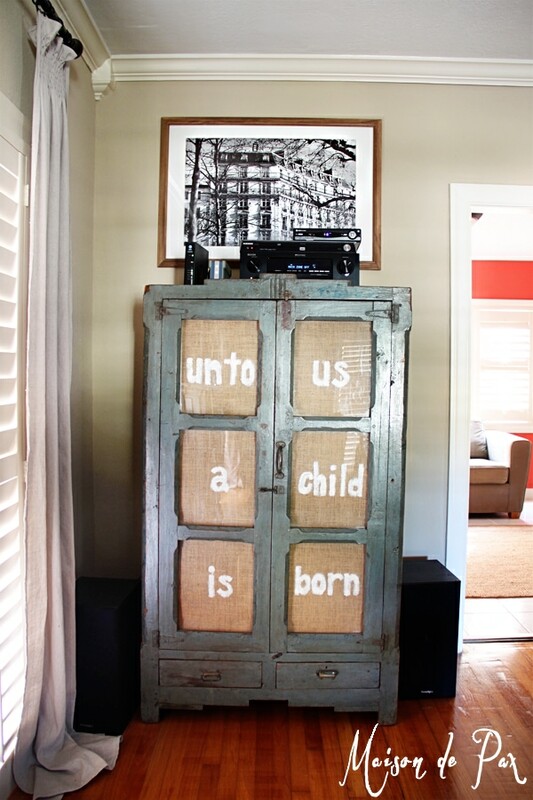 And with that in mind, this is the outcome: using rustic, loose-weave burlap and white craft paint (both of which I had on hand) to transform our simple media and game cabinet into a bold, Christmas reminder. I love the result (though please forgive all the stereo equipment on top… we originally planned to put it in the cabinet but couldn’t bring ourselves to drill holes in this gorgeous antique for the cords)! 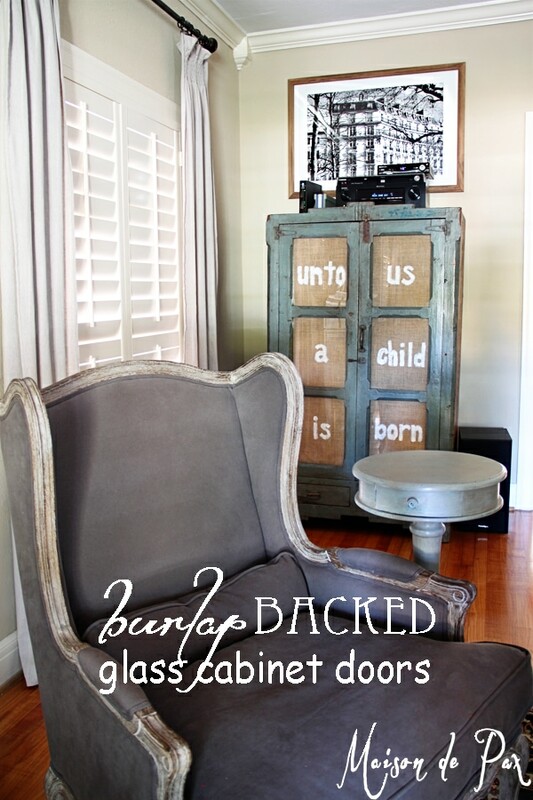 I considered just using two long strips of burlap to back each door and then writing on the glass with a chalk pen… and that would definitely be an option if you want to save some time (and preserve your burlap for future projects). 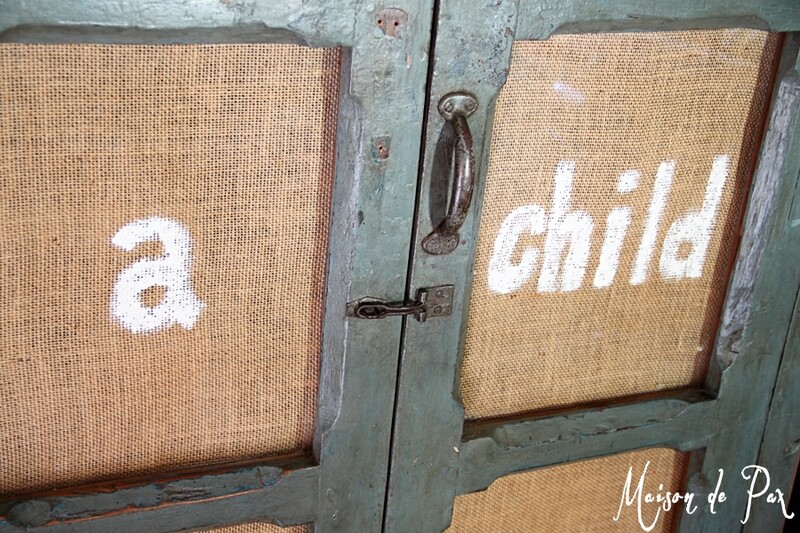 To make the burlap inserts, I simply measure the window, cut the burlap to fit, chalked out the letters in free hand, and then filled them in with craft paint. In retrospect, I wish I had a MUCH stiffer brush (it’s hard to paint clean lines on heavily textured burlap! ), but I still love it. And I actually think it could be a nice option year round. 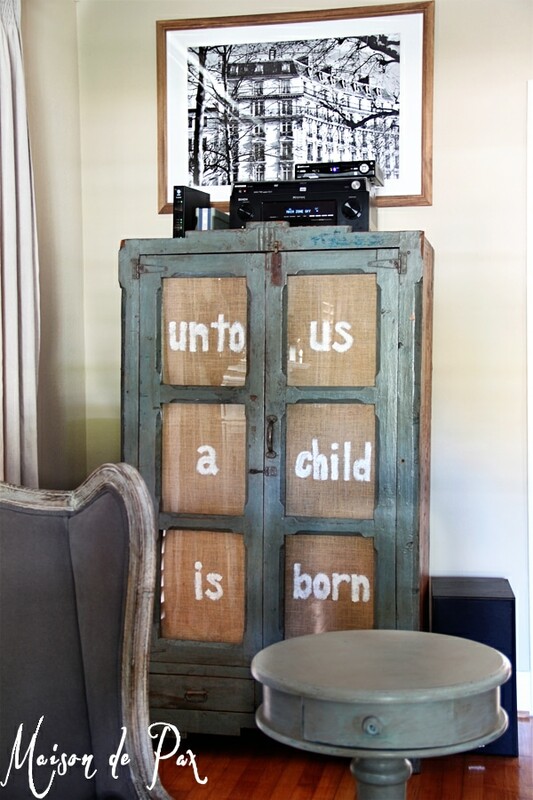 Though obviously the words I chose are more appropriate for Christmas, you could do any words, design, or even blank burlap if you simply wanted to hide what was in a glass-front cabinet or change up the look a bit. So, how have you integrated your Christmas decorations into your normal decor? Or what else might you do to back the glass of cabinet doors? I’d love to hear your ideas! 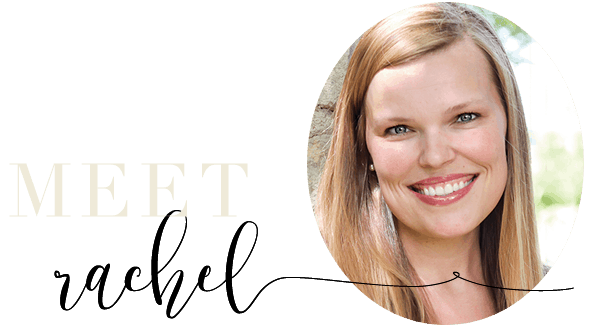 You are so darn clever, Rachel! You could definitely adapt this concept all year long, for any season or holiday. Love it! I love this Rachel – one of my favourite things that I noticed on your tour! This is so creative and pretty! Thanks, Krista! I’m a sucker for an easy transformation. 😉 So glad you like it! This is an awesome idea! I love your cabinet. I don’t think I could drill holes in it either. I didn’t even notice the stero equipment. Have a merry Christmas! Thank you so much, Deborah! We always notice things in our own home that others would never catch, don’t we? 🙂 I hope you have a very Merry Christmas!! What did you use to stick burlap on? Clear glue, decoupage medium ? Thank you so much, Deborah! I actually just used painter’s tape – I put it around the burlap on the wooden parts of the doors so that you couldn’t see it from the front. 🙂 Hope this helps!